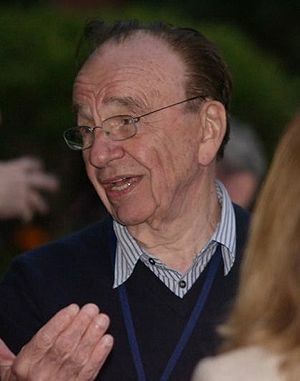 Can PR save the Murdoch Empire? As has been widely reported, embattled News International (NI) has hired PR agency Edelman in a bid to help stem the damage from the News of the World phone hacking scandal. As Jon Clements notes in his blog, it is a vote of confidence (of sorts) in the power of PR, although I suspect that not many in the industry would take on the challenge. It could be a coincidence, but I’ve definitely seen a change in News International’s attitude over the last few days. Whether that is the work of Edelman or part of a bigger process is a moot point. In short I’d sum it up as Apologise, Co-operate, De-focus and Defend. Full page adverts from Rupert Murdoch himself apologising is a very public tactic but at the very least shows that the contrition comes from the top of the organisation. As part of the apology process a significant number of executives, including the previously untouchable Rebekah Brooks have also departed. The Murdochs realise that they need to appear honest, open and willing to co-operate if they are to retain any chance of bidding for BSkyB in the future (the main business aim for News Corporation). Hence both Murdochs and Rebekah Brooks all appearing in front of MPs this afternoon (get ready for a Twitter meltdown). Widening the debate away from just journalists to cover the police and, potentially, even politicians, moves the searchlight off just News International and, some would say, exposes a larger, more systemic web of corruption. The majority of the population have a higher trust in the police than the press, so shifting the emphasis is only going to benefit News International. They may not be key to the long term vision for News Corporation, but the company has mounted a robust defence of its other UK titles. Firstly it denied claims by The Guardian that The Sun accessed the medical records of Gordon Brown’s son and continued the attack at the weekend with a front page story in the Sunday Times alleging that Brown’s behaviour was essentially turning into a vendetta against the organisation. In this visual/social media world whether this strategy works will come down to how well the Murdochs and Brooks handle their grilling from MPs today – this story will run and run.